The weaving machine (dobby and jacquard machine) of the type G. A. Roscher from the 1920s was used to produce linen cloth with patterns. Originally it was in operation in the weaving mill of the Brothers Büning in Borken (Germany, North Rhine-Westphalia). 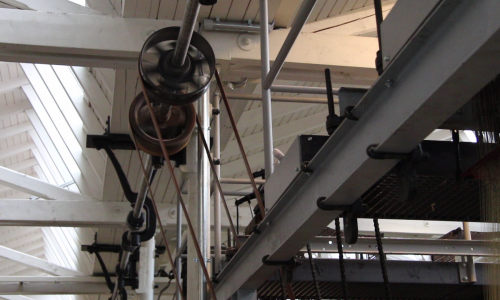 Today it is located at the LWL-Industriemuseum TextilWerk Bocholt. It is used for demonstration purposes. 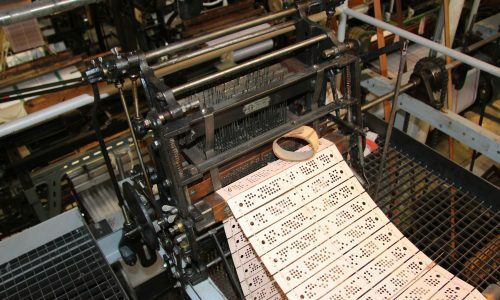 The sound of this machine emanates from its mechanism: the up and down motion of the „shafts“, the „shuttles“ moving back and forth, the hammering of the „weaving comb“ and the changing of the jacquard punch card are the essential sounds heard here. 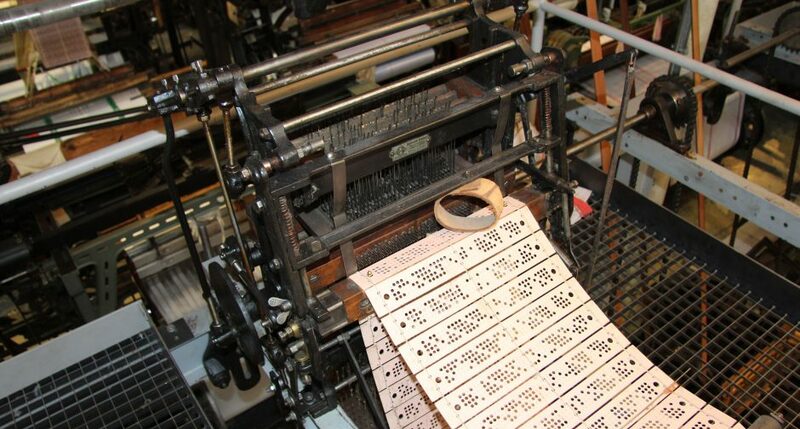 This recording was made at the top of the weaving machine close to the Jacquard machine and its punch card mechanism. A punch card is a mechanical data medium made of punched cardboard using a binary system: “hole” and “no hole”. If the needle hits the cardboard (no hole), the thread is lifted, but when it encounters a hole, the thread is lowered and the cloth is penetrated. The manner in which the cards are punched is analogous to the weaving pattern. This punch card technique makes it possible to weave the same patterns over and over again. The binary system of the Jacquard machine has prevailed. 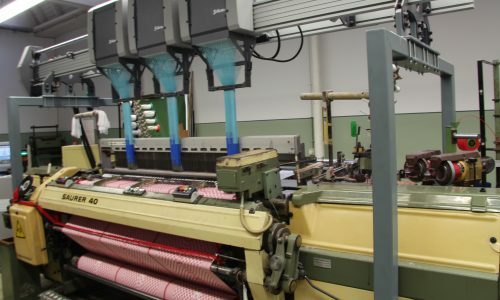 Not only is it used by modern Jacquard machines to create patterns digitally. The binary code system, as 0 opposed to 1, is the basis of every computer and digital device.